Nine youth accused in Malegaon blast case of 2006 have been granted bail by the MCOCA court. (Nov 6 2011). These Muslim youth were arrested after the bomb exploded on the Shab-e-Barat, killing several people. Immediately after that the Anti Terrorist Sqaud, arrested nine Muslim youth, there was really no evidence worth its name against them. Still police which is, motivated more by biases than by professionalism, arrested these Muslims youth. The investigation agencies have firmly believed all through that all terrorists are Muslims. Human rights workers tried to reason with the top police authorities that how can Muslim youth conspire to kill their own kin. In other quarters the way the virus of Islamophobia and anti Muslim sentiments has gripped a large section in society including the police authorities, have strong biases against Muslims. The investigation for authorities so far had become an easy job, after every blast, catch hold of few Muslim youth put them behind bars and then try to generate the evidence, if possible. Similar things happened in Mecca Masjid blast when the authorities arrested nearly 25 Muslim youth after the blast in the mosque. That time even the National Commission for Minorities minced no words and concluded that the case against Muslim youths, who were detained in the immediate aftermath of the 2007 Mecca Masjid blasts, has been fabricated. The Godhra train burning investigation is also mired in much deeper misconception, where nothing could be proved against the alleged Chief conspirator, Maulana Haji Umarji. Despite that, other Muslim youth were given the sentence. All these investigations show a clear pattern that the biases of the investigation authorities overtake their professional training. This was also one of the lazy way of going about things as arresting Muslims after such an episode is passé’ in public opinion and in the media in particular. Barring a small section of media others hardly played their role of raising doubts about the methods of investigating authorities. 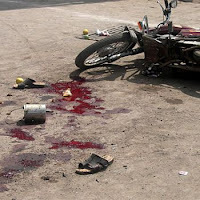 In the blasts in Nanded (April 2006) two Bajrang dal activists died while making the bombs. They were making the bombs in the house of one Mr. Rajkondawar, a RSS worker. It had all the clear evidence of the Hindutva terror gang undertaking such terrorist operations. But Mahrashtra ATS stubbornly ignored the basic point and protected the real guilty of the crime. 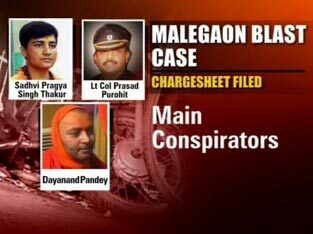 It took the like of Hemant Karkare to impeccably unearth the evidence linking the Malegaon blast of 2008 with Sadhvi Pragya Singh Thakur, Swami Dayanand Pandey and other RSS associates, to meticulously demonstrate that the real cause of terror attacks in these places from Nanded, Modassa, Parbhani, Jalna, Aurangabad, Ajmer and Samjhauta blast lies somewhere else. It is unfortunate that the police officer of such an integrity was killed in the Mumbai terror attack on 26/11 2008. What was happening so far was that since police was merrily botching up the investigation, the real culprits were becoming bolder and they went on committing one after the other acts of terror. There is a long list of RSS affiliates, against whom there is a strong ground to allege them. Of course, RSS true to its character was quick to say that those involved in acts of terror, had already ‘left’ the RSS. The matters really could not be hidden after the confession of Swami Aseemanand, which was reported first by the gutsy magazine Tehelka. Swami Aseemanand, an RSS worker, who was working for VHP in Dangs, organizing Shabri Kumbh in the presence of top RSS top brass, confessed in presence of a magistrate. This confession as per the law can be treated as an evidence in the court. He spilled the beans and confessed his role in Mecca masjid and other blasts and also named his colleagues in the crime. This forced the agencies to do the course correction in some ways. Aseemanand has named senior RSS leader Indresh Kumar, the murdered RSS pracharak Sunil Joshi, Sadhvi Pragya Singh Thakur and senior RSS pracharaks Sandeep Dange and Ramji Kalsangra, among others, as being key conspirators in the terror blast. The result of this fortunately is that in Malegaon blast accused after 5 years of their suffering and loss of youthful years in jails, have been granted the bails. This raises multiple questions as far as our society and nation are concerned. First is, do we deserve such a biased investigation agencies who, episode after episode, keep repeating the same method despite the lack of proper evidence. The heavy reliance of agencies on the role of SIMI, a banned organization and some vague groups with Muslim names has been the favorite line of investigation of the authorities. How can this trend be reversed? The biases in the minds of authorities are also a reflection of ‘social common sense’ prevalent in the society. This ‘social common sense’ has been manufactured by communal forces and media has disseminated it further. Despite the Harmony Programs by Government, despite the Home ministry’s lip service to prop up National Foundation for communal harmony, not many awareness programs have been consistently followed or taken up seriously. The state has enough resources to ensure that police academies, the officers training institutes and college-universities are made the conduit to disseminate the values of plural traditions, the synthesis of religions in the form of Bhakti and Sufi traditions, the teachings of Mahatma Gandhi on communal harmony. A lot is possible to give a prop to the values of harmony which underlie the India’s freedom movement and are inherent in Indian Constitution. There are many a NGOs and individuals who are trying to do this work, but definitely their reach is very limited. This promotion of culture of amity and celebration of diversity by the state is a must at this juncture. The second point of serious concern is what does state and society do when the lives of innocents are ruined by the callous attitude of investigation authorities. There have demands that these youth should be adequately compensated and their amount of compensation should be recovered from the salaries of the police officers who are blinded by their prejudices and push aside professionalism to give a free play to their biases in arresting these youth. A suitable rehabilitation program, scholarship, assistance to rebuild the life has to be the responsibility of the state in these matters. State must come forward to undo the severe harm it has inflicted on these innocent youth.